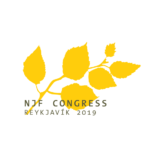 It is a privilege to invite you to Iceland for the 21st Congress of the Nordic Federation of Midwives “Midwifery across borders“, the year that the Association of Icelandic Midwives celebrates its 100th birthday. Detailed information on the scientific programme will be available on the Congress website in due course. On behalf of the Organizing Committee we warmly welcome you to Iceland. Iceland is only 3-4 hours from Europe by flight, and 5-6 hours from the East Coast of North America. A number of international airlines operate flights to Iceland year round from various cities on both sides on the Atlantic.